Housing advocates from San Francisco showed up at a Brisbane City Council meeting Thursday night to urge approval of a proposed Baylands development that would add more than 4,000 residential units and 7 million square feet of office space. 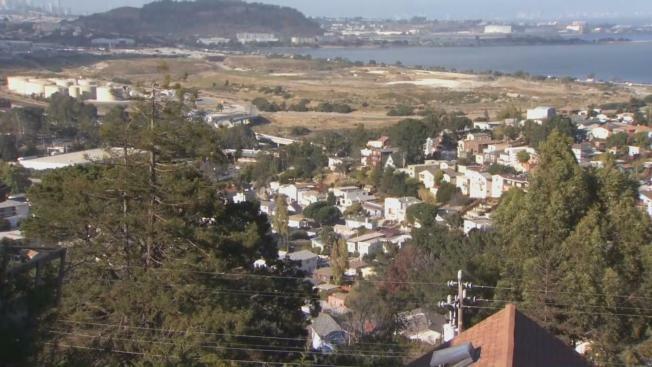 The proposal would more than double the population of the city just south of San Francisco, and residents fear it would destroy the small-town feel they're accustomed to. "My brother lives around the corner; my uncle is right there," resident Katherine Lucas said, pointing to a nearby house. "It's five minutes away from San Francisco, but it has trees, great neighbors." The Brisbane Planning Commission is recommending the council vote down the housing development. And the mayor is listening. "Our general plan prohibits housng because the site is contaminated," Mayor Clifford Lentz said. "One side is a dump; one side is a railyard." But housing advocates and groups like the San Francisco Chamber of Commerce are applying pressure, urging Brisbane to be part of the housing crisis solution. Residents say opposing the plan is about more than maintaining Brisbane's charm. They're concerned about risk. "For me, this is about three things: safety, safety, safety," one resident said.